It’s almost two weeks of intense study, exposure, interaction and pleasant surprises already at Coady. The remaining one week for participants in the 2018 ‘’Livelihood as Markets’’ course group is full of promises. Interestingly, names of those people that worked hard to give Coady International Institute, St. Francis Xavier University, Antigonish, Nova Scotia, Canada the fame it has retained since 1959 still rings bell world over. One continues to wonder how much they tarried to succeed on this cold island, with unstable weather condition. I hail thee, Fr. Moses Michael Coady for your foresight and ingenuity to promote self-reliance through cooperation and inclusive market strategies in communities world over. Coady International Institute was named after Fr. Moses Coady and has been educating global leaders in development since 1959. It has a unique record of having graduated about six thousand people from world over and is still counting. Through its unique community-based approach, the institute provides access to global intellectual property and knowledge pools and equips citizen leaders to address contemporary global challenges. Her network includes thousands of graduates and partners working in 130 countries of the world. My two week experience since arrival at Coady is worth sharing. From the airport at Halifax, Coady officials demonstrated hospitality of high magnitude. Participants were received by a staff of Coady, who took us to the chauffer. We were chauffeured to the premises of the institute and it was a two hour drive from the Halifax airport. These staff of Coady knew the import of timeliness. They were humble, cultured and most welcoming. Learning in a new, cold environment which Coady represents for participants from tropical Africa, indeed started from the airport. And the vehicle driver was the first teacher. His lessons were about the climate, the people and community at Coady and how happy they are to receive us. I remember the orientation exercise that kicked off as we settled down for the three weeks course. We learnt a lot about Coady and why it is a unique place for greater academic work and advanced training. 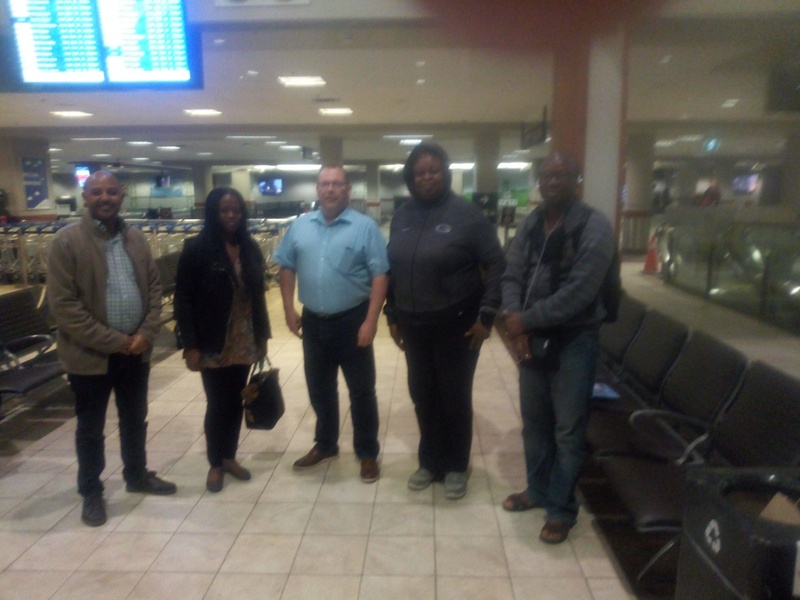 Arrival of some participants at Steinfield airport, Halifax, Canada. Learning at Coady provides candidates for the course, the opportunity to share ideas and to exchange experiences with each other and with Coady staff. Educational programs are highly participatory and various methods are used which includes presentations, case studies and experiential approaches. At Coady, facilitators are committed to working with integrity, educating through modelling and mentoring and creating a supportive yet, challenging space for learning. 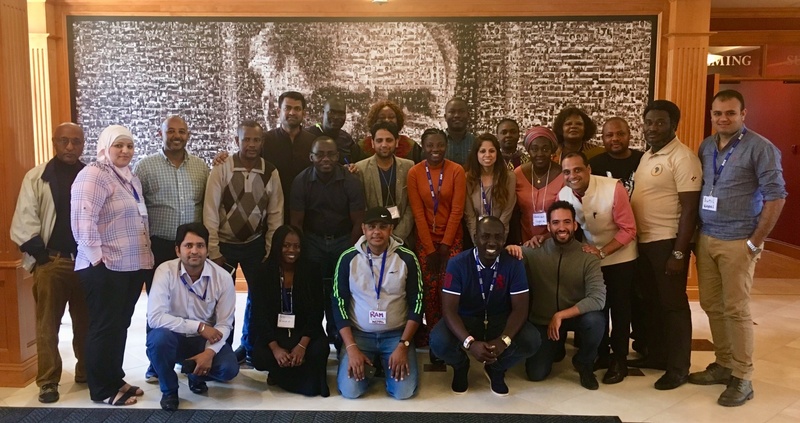 In ‘’Livelihoods and Markets’’, Professor Yogesh Ghore and Dr. Farouk Jiwa; our facilitators, built up the momentum of the course at a comfortable pace and calibrated the course that you would learn something. 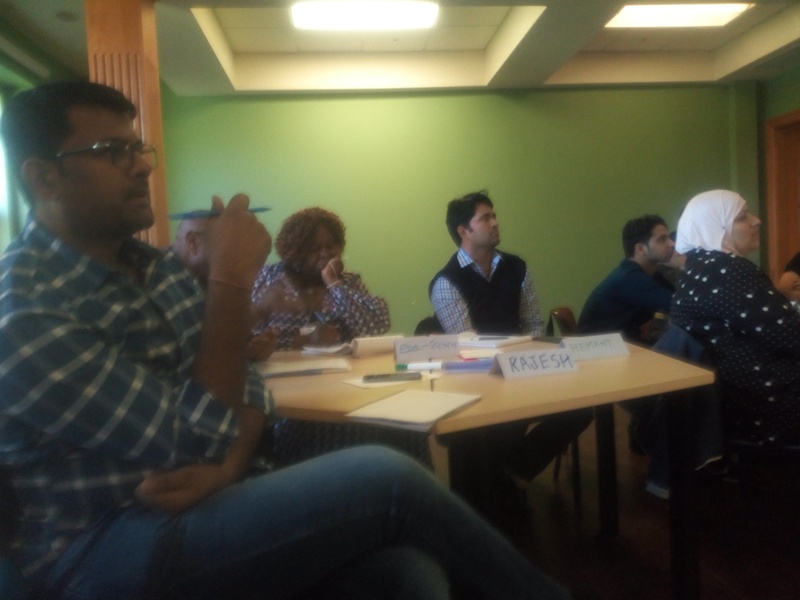 Given the trajectory on how the ecosystem has changed, participants are equipped to effectively reduce tension between human development and the changing environment. We are significantly exposed to making market more inclusive and empowered to connecting people to the market while building partnerships. Our team in 2018 Livelihoods and Markets. Intense learning and study, under the broad subject, ‘’Livelihoods and Markets’’, has taken place within the short period of our stay at Coady. There has been in-depth discussion on value chain, market system and globalization. We have come to terms with the fact that in many ways, the mixed records of market imperfections and persistent structural inequalities in many countries have undermined the effectiveness of social policy, erfect existence and decent livelihood. 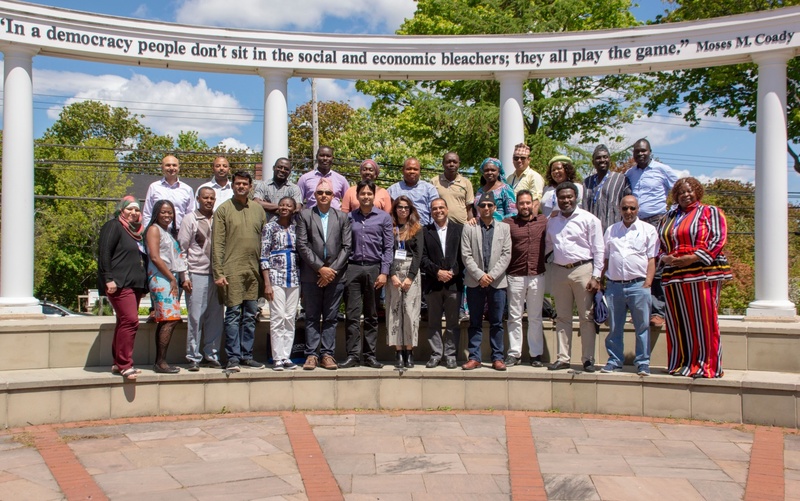 Coady’s May 27 – June 13 2018, 24 ‘’Livelihoods and Markets’’ participants (with their facilitators: Prof. Yogesh Ghore, sixth from right in the front row and Dr. Farouk Jiwa, first from left at the rear. The author: Mrs Edel-Quinn Tobs-Agbaegbu is the first from right in the front row. Till date, maintenance and reservation of natural resources and the need to support the livelihoods of rural populations around the world are major concerns. Countries all over the world face the challenge of meeting the needs of a population that is expected to reach nine billion by mid-century. These challenges which are mainly linked to food safety and security, poverty and social exclusion are already high on the public and political agenda. The unpacking of social inclusion therefore, has been a discourse. In overcoming identified constraints; human capital development and demonstration activities are potential means of collaborative innovation to tackle many of the global challenges of today. A critical mass of appropriately skilled people, underpinned by basic education was discussed as prerequisites for a healthy economy and livelihood. Notably, earning a fair living and building a capacity is Key to eliminating hunger and poverty in any given society. Additional key is the need to assist people to become active players and decision makers within societies and providing communities with strategies for shaping their own future. Fr. Moses Coady has a policy statement that is noteworthy and commendable. It reads: ‘’the world calls loudly for a real democratic formula to bring life to all its people. It is not going to be done by guns, making armies or bombs, but by a program in which the people will participate in the economic, social and educational forces which condition their lives’’. Follow up are strategies and interventions to redress iniquities and engage life’s biggest problem. The tools, built upon the foundation laid by Fr. 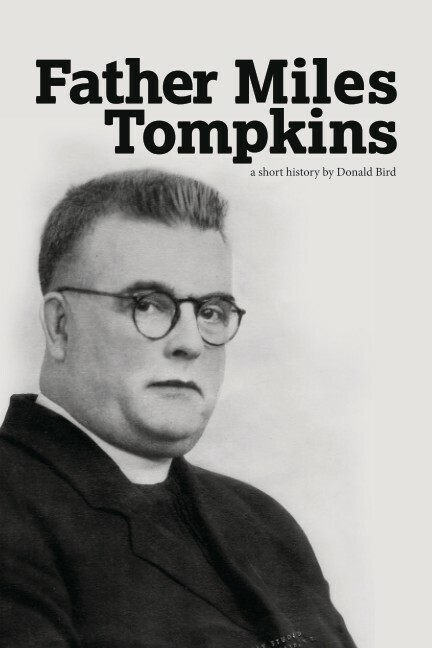 Jimmy Tompkins, brought innovations where you can draw from. The strategies provided an economic engine for a new economy that will in turn provide the basis for future growth. The interventions are driven by strategic need as well as market demand that will require strong private sector involvement. Coady and the parent body, St. Francis Xavier, have a rich background. For about a century now, an outreach program is organised by committed faculty members of St Francis Xavier University (StFX), who recognised that its knowledge and resources should be made available to the community to improve the lives of the disadvantaged people. ‘’The people’s school’s’’ of Rev. Fr. Jimmy Thompkins opened the doors of the University to all from impoverished farmers, fishing and mining communities from the region to strengthen their capacity to access the market. 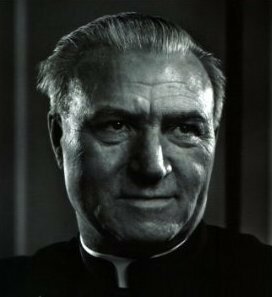 Father Jimmy Tompkins joined of St. Francis Xavier University in 1902. For many years, he engaged the institution to take knowledge to the people where they lived and worked to help them make better lives for themselves. At Canso, he helped fishermen to build a lobster factory, get a better price for their catches and improve their lives in many other ways. Fr. Thompkins and his cousin, Rev. Dr. Moses Michael Coady in the early 1920s pioneered a community organizing practice that enabled people to change their future and Livelihood. Fr. Tompkins efforts yielded and moved St. F.X. into the adult education field. In 1928, Father Michael Moses Coady was directed by the StFX Board of Governors to establish the University’s Extension Department and they appointed him the first Director. This unique extension work of StFX later became known globally as ‘’The Antigonish Movement’’. The charismatic Reverend Fr. Moses Michael Coady, the miracle of Antigonish, is one of the most effective social reformers Canada has ever known. The Antigonish Movement is one of the most successful social actions witnessed in Canadian History. The movement has been flourishing and continues to fascinate and challenge Canadians today. It is a symbol of an activist heritage in adult education. Coady established credit union and cooperative movements in the maritime to make them masters of their destinies. He drew on multiple strands of economics, management studies and adult education to x-ray their role in the process of social reformation for empirical growth and development. He revitalized the Nova Scotia Teachers’ Union and helped to organize the United Maritime Fishermen. The humble giant Coady, is Canadian’s rural revolutionary and has made impact to the world. He is a beacon of inspiration for activists, critics and many of the world’s poorest people alike. The success of the Extension Department and the growing interest in the Antigonish Movement ensured that Coady’s vision would extend beyond his lifetime. Coady retired from the University in 1952 and died in 1959. 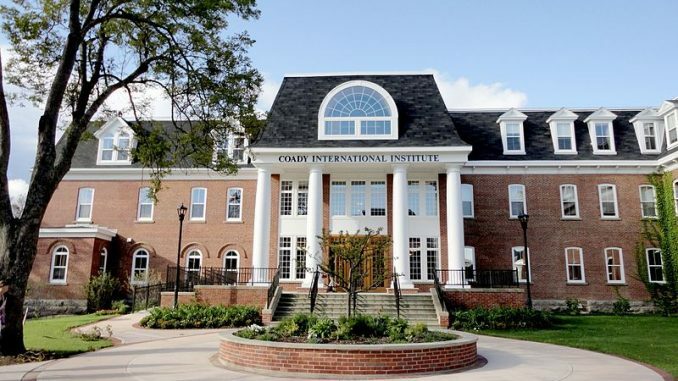 Later that year, the University established the ‘Coady international Institute’; and charged it with the mandate to educate leaders from all around the world in the principle of people-based approaches to development. This institute remains the international arm of the Antigonish Movement to honour this extraordinary man whose pioneering work continues to effect positive changes in communities till date. Participants on a field trip to the Aflantic Ocean at the end of Canada. Global attention focused on the plight of emerging nations after the World War 11. 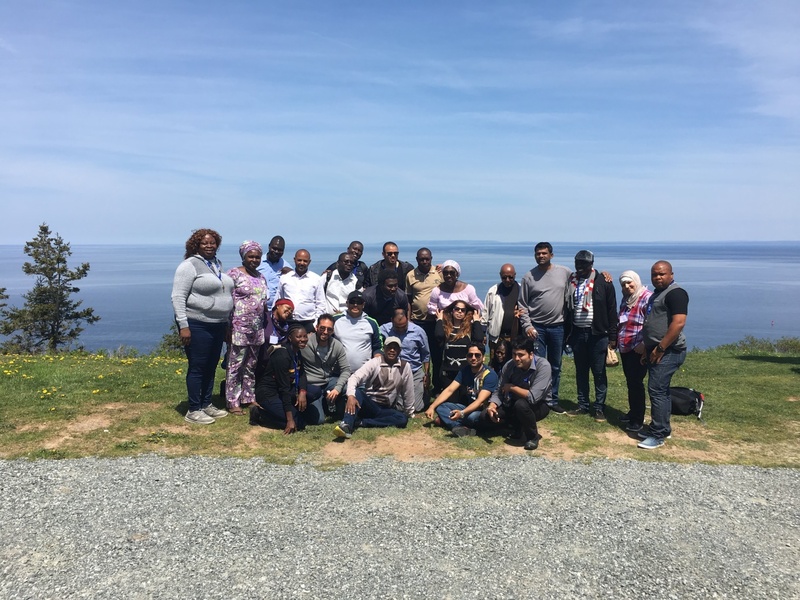 Men and women from these countries were encouraged to come and study at StFx to harness these methods and approaches that has transformed the region. 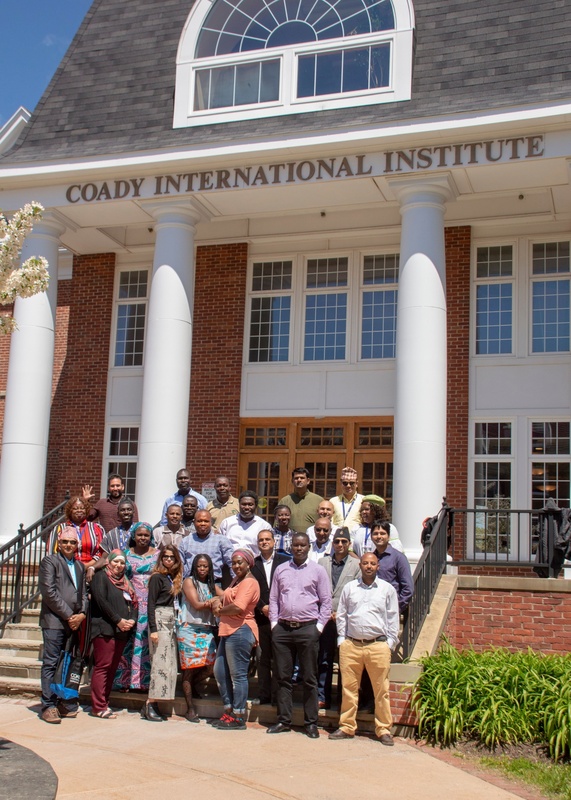 Today, Coady’s training programmes have expanded in scope and accommodate citizens from various parts of the world on highly specialized areas such as: Asset Based-led Community Development (ABCD), Community-Based development, Micro-finance, Women for Change, Livelihoods and Markets etc. to provide dynamic educational programs. These programs are focused on areas of particular relevance to today’s development professionals. The global reach of this Institute has grown immensely over the past five decades with no less than 6,000 graduates from the Coady’s campus-based programs while many have participated in overseas programs through global partnerships. 2018 Livelihoods and Markets participants and one of their facilitators; Yogesh, (bending, third from right), posing in front of the gallery of pictures of men that contributed at Coady (“The Mosaic of 3479 people’’). We are confident that we made a wise choice to be at Coady and expectations are quite high. In the next couple of days, our class of participants in the May/June, 2018 course of ‘’Livelihood as Markets’’ will graduate from Coady. We have been learning in confidence and encouraged to work in the space to fill the gap. A number of documents and reference materials have been handed over to us to build our resources and legal practical skills, to grow in our career in our various fields. We are encouraged to build in our learning to become more successful and we look forward to impact our various communities to make the world a better place. As in the words of Borah Lim; (Korea Graduate 2009), we shall grow and develop as leaders, responsible citizens and change agents for the world. Every single one of us will make profound and significant contributions to our world and communities’’. When it comes to learning, it is the place to go. Be part of the growing network. Here we are today at Coady. Yes, we are here. Coady it is! EDEL-QUINN IJEOMA AGBAEGBU; Executive Director, Every Woman Hope Centre (EWHC), Publisher of LifeCare Journal, Secretary, National Biosafety and Biotechnology Consortium and Member, National Biosafety Committee (NBC), Nigeria. She wrote from Coady International Institute, St. Francis Xavier University, Antigonish, Nova Scotia, Canada.